Is your horse showing signs of pain? Does he have a back problem? Has his behaviour changed when ridden or when handled? Is he reluctant to perform certain school exercises or canter on a particular lead? Has he begun to refuse jumps, feel stiff or just “not quite right”? Has your dog begun to slow down, become grumpy or showing signs of tenderness to the touch? Is he recovering from surgery or are you wanting to manage a condition to avoid surgery? How many times have we all said “I wish they could talk” when we have an animal with a problem? Behavioural changes, loss of performance or “naughtiness” are their way of trying to communicate and are often signs of muscular, joint or back pain. 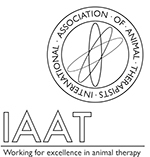 Physiotherapy and hydrotherapy can help greatly with your animal’s rehabilitation. Using gait analysis and palpation I can help find the source of pain and, if appropriate, treat the problem with various non-invasive techniques. Physiotherapy can also achieve great results when used following tendon/ligament injury, for wounds, fractures and for arthritis management. Used after surgery or extended box rest physiotherapy helps them to return to work quicker and makes re-injury less likely. Veterinary permission or referral is always gained prior to treatment. Please contact me to discuss your problem and see if I can help.